Many garden plants like a relatively neutral soil, with a pH (acid/alkaline balance) between 5.5 and 6.5. The presence of large amounts of limestone, sand and certain chemical salts produce soil that has a pH of 6.5 or above, making the soil strongly alkaline and limiting plant choices. To make soil more acidic by organic means, a number of natural substances can be added to alkaline soil, making the soil more hospitable to a wider variety of garden and landscape plants. 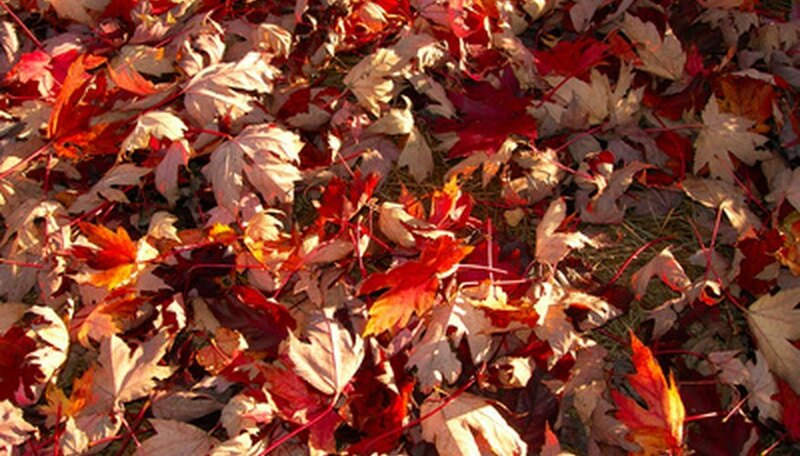 Dig in acidic soil amendments such as fallen leaves, peat moss, and evergreen waste. One of the best ways to accumulate these materials and ready them to be incorporated into soil is to create a compost heap in a back corner of your yard. That way, raked leaves, bits of soil from weeding (though not the weeds), evergreen prunings and needles and other yard waste can start decomposing before you dig it into your soil. Add kitchen compost to your yard waste. Adding vegetable peelings and waste, eggs and coffee grounds tend to mix well with acid yard waste and add nutrients for garden plants. Add peat moss, well-soaked, to increase acidity in your compost pile. Like leaves, peat moss can be mixed with soil as is, with the addition of water. Accelerating the decomposition process makes nutrients in organic materials more quickly available to plants. Add composted manure to your soil to increase acidity. Make certain that manure is composted before dug into the soil, both to diminish the odor and diminish the chance of burning plant roots. Have your soil tested when you begin adding more acid materials and as you continue. Periodic testing can be done through your County Extension Service at relatively low cost and enables you to monitor your progress. Consider adding elemental sulfur to further acidify soil. Sulfur, like iron, aluminum, and other elements, occurs naturally in soil and contributes substantially both to soil condition and to nutrients available to plants. Acidifying your soil should be part of your regular seasonal garden routine. Weather, water, and erosion all affect soil content, and regular applications of materials are necessary to keep your soil consistent. What Are the Benefits of Gypsum in Soil? What Are the Treatments for Acidic Soil? Does Limestone Make Soil More Acidic? Are Leaves Good as a Fertilizer for a Garden? Why Use Gypsum on Soil?